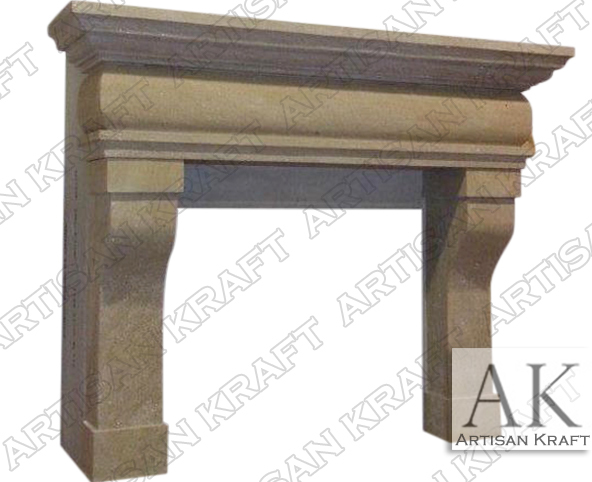 Fireplace pictured in Beige Sandstone. This is a huge mantel surround. Would fill a large living room. Works in a small room where you want the fireplace to take precedence. Stop by the sale page.